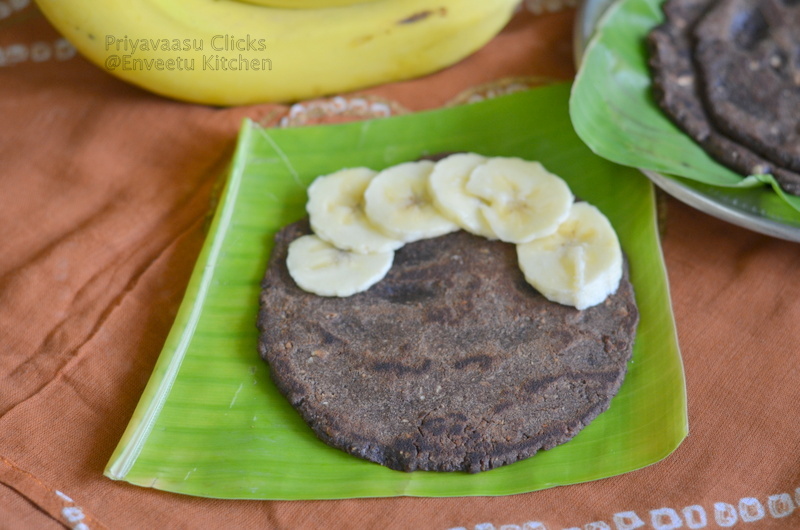 As promised, i m here with the recipe for the Sweet Version of the Ragi Adai/Pancake. This can be served for breakfast or as a snack.This Sweet Pancake makes a healthy after-school snack for kids. 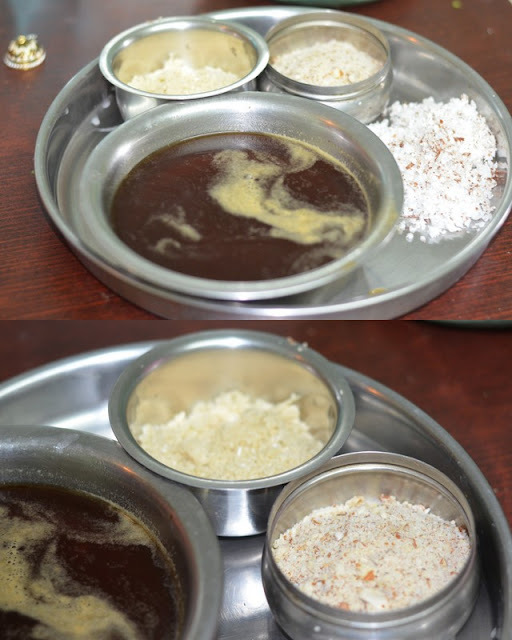 Boil the 1.5 Cups of Water, add the Powdered Jaggery to it. Let the JAggery melt, Strain for impurities and Keep aside, let it cool until use. 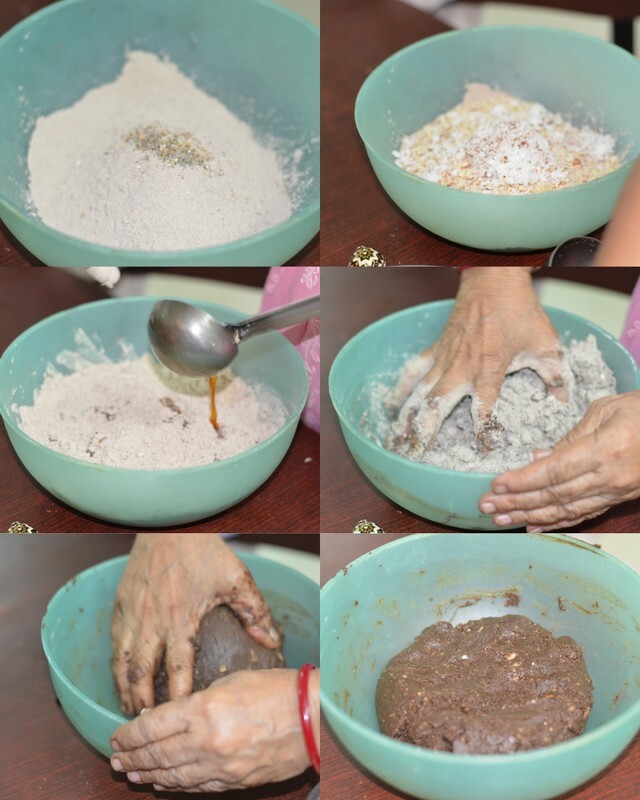 Take the Ragi Flour in a large bowl. add the powdered cardamom, Powdered Nuts, grated coconut, Mix well. Add the jaggery water, little by little and form a dough. The entire Jaggery water might not be used for the dough, there might be a 1/2 cup of jaggery water left. Divide the Dough into ping pong size balls. Using a banana leaf, pat the ball into a flat disc. 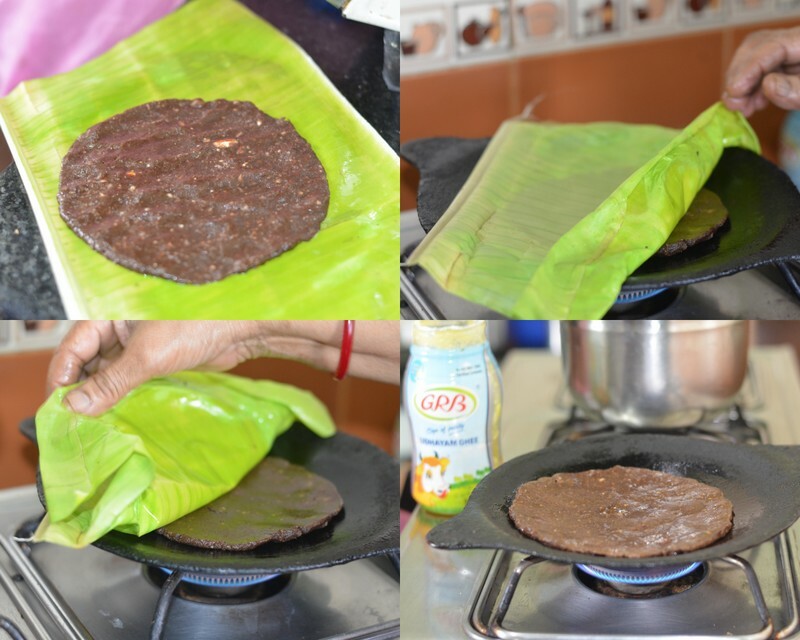 Heat a Tava, Invert the banana leaf with the disc-side down on the hot skillet and peel-off the banana leaf slowly. Cook on both sides, using little ghee. Serve Hot. 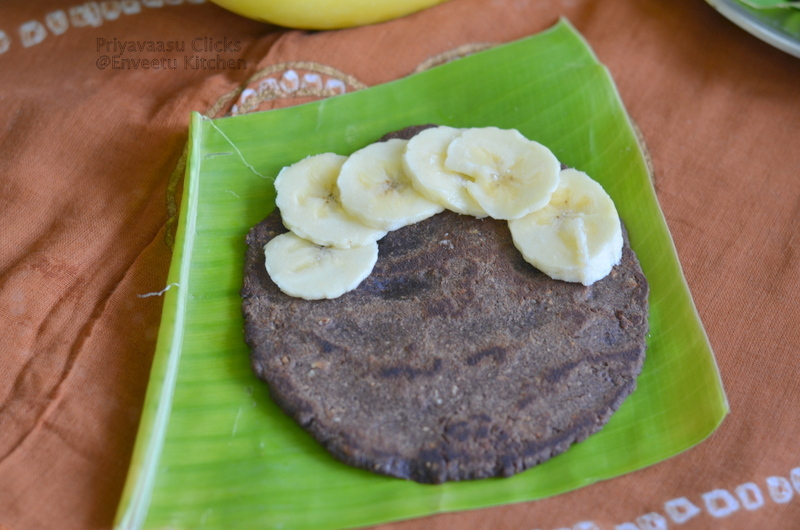 Since it is a sweet adai, this doesn't need any condiment, if you still want some, serve with sliced banana and honey on the sides. On going event Flavors of cuisines - "Turkish"
Great to hear Mili, sure will be posting some more recipes using ragi flour. The Adai takes 2-3 minutes to cook well on both sides,just like our Roti. Wow, that looks so yummy.. Loved those homely step wise pics.. Healthy adai ! 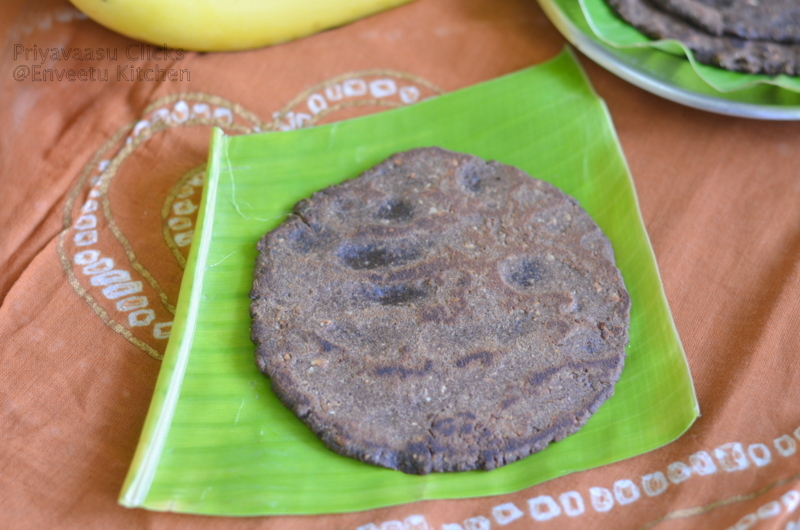 yummy and awesome tempting ragi sweet adai. Will try out when I am in India.. we don't get ragi flour in Brazil. Needless to say how i love this sweet ragi adai,u r pulling me to make some soon. Mouth watering healthy adai! Thanks for the step by step instructions!! delicious and very tempting!!! Thanks for linking it to my event!! Looking for more yummy recipes! !